Hawksmoor. Photo provided by the Maryland Jockey Club. Lael Stables’ Hawksmoor, a German Group 2 winner who developed into a multiple graded-stakes winner in the U.S. last spring and summer, will open her 5-year-old campaign in Saturday’s $100,000 Dahlia at Laurel Park. The 16th running of the one-mile Dahlia for fillies and mares over the All Along Turf Course is among five stakes worth $550,000 in purses on an 11-race Spring Stakes Spectacular program. Also on the grass is the $100,000 Henry S. Clark for 3-year-olds and up at one mile on the Dahlia Turf Course layout. 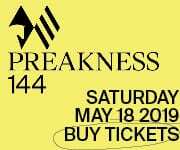 Highlighting Saturday’s card are the $125,000 Federico Tesio for 3-year-olds and the $125,000 Weber City Miss for 3-year-old fillies, ‘Win and You’re In’ races for the $1.5 million Preakness Stakes (G1) May 19 and $250,000 Black-Eyed Susan (G2) May 18, respectively, at legendary Pimlico Race Course. Also on the program is the $100,000 Primonetta for fillies and mares going six furlongs on the main track. The Primonetta, Clark and Dahlia each received $25,000 purse increases from 2017. 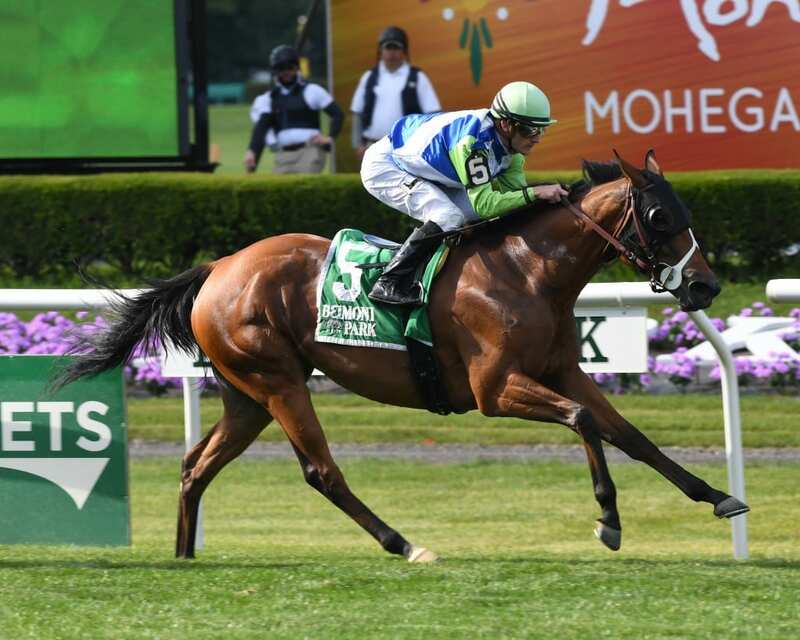 Irish-bred Hawskmoor, trained by Fair Hill, Md.-based Arnaud Delacour, has not raced since finishing second by a length in the one-mile Matriarch (G1) last November at Del Mar. It was the seventh consecutive graded start, third straight Grade 1 and fourth overall in Grade 1 company, for the Azamour mare, who debuted stateside with a narrow loss while third in the 2016 Queen Elizabeth II Challenge Cup (G1). Delacour has had Hawskmoor since her second U.S. start when she was sixth in the 2016 Mrs. Revere (G2). Together they won the 1 1/16-mile Beaugay (G3) and 1 ¼-mile New York (G2) in successive starts, both at Belmont Park, and were second in the Matriarch and First Lady (G1), beaten 2 ½ lengths combined. Regular rider Julien Leparoux will be in town for the mount from Post 4 of 10. All horses will carry 118 pounds. Glen Hill Farm homebred Compelled broke her maiden at Laurel in October 2016, her only previous try over the local turf, and captured the Juvenile Filly Turf Stakes at Gulfstream Park West in her subsequent start. Second in the Sweetest Chant (G3) and third in the Florida Oaks (G3) to open her sophomore season, the 4-year-old War Front filly went unraced from her runner-up finish in the Hilltop at Pimlico until winning the Mardi Gras Stakes Feb. 13 at Fair Grounds. Three Diamonds Farm’s I’m Betty G won the 1 1/16-mile Pearl Necklace over fellow Maryland-bred fillies last July at Laurel and set the pace in the 1 1/8-mile Commonwealth Oaks (G3) until being passed late and finishing third by 1 ¼ lengths. She has since run third in four stakes including the Valley View (G3) last fall and Tropical Park Oaks, South Beach and Albert M. Stall Memorial to open 2018. Pin Oak Stud homebred Full of Zip returns to the turf for the first time since last February in the Dahlia. The Graham Motion trainee faced over the synthetic surface at Presque Isle Downs in the spring and summer and has raced on dirt in her last three starts, two of them off-the-turf efforts at Laurel last fall where she had one win and one second. Last time out, the 4-year-old City Zip filly made her stakes debut in the Wayward Lass Stakes Jan. 20 at Tampa Bay Downs, finding herself on the inside between horses and was never in contention finishing seventh. Trainer Lacey Gaudet has a Dahlia contender in Roddy Harrison’s Aura Rose, a horse claimed for $40,000 out of a runner-up finish Feb. 11 on the Santa Anita turf. The Uncle Mo filly was last seen finishing seventh in the Camilla Urso Stakes March 17 over the synthetic at Golden Gate. Aura Rose has breezed twice since joining Gaudet’s Laurel string earlier this month, including a five-furlong move in 1:01.60 that ranked second among 16 horses at the distance April 15. Recent Laurel allowance winner Broken Bridle; Flower Fashion, unraced since running fifth by two lengths in the Commonwealth Oaks for trainer Christophe Clement; Pago Hop Stakes winner Hallie Belle; Sophia Is and Angel and Tanya’s Gem complete the field.